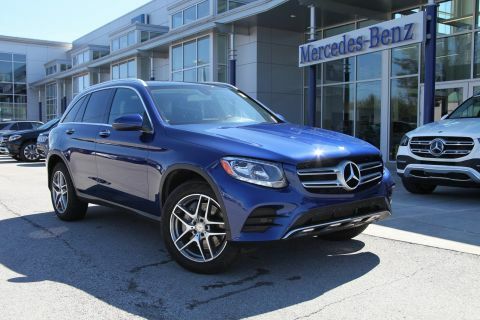 Right now during our Certified Pre-Owned Sales Event we're offering finance rates as low as .99% good through 4/30/2019! 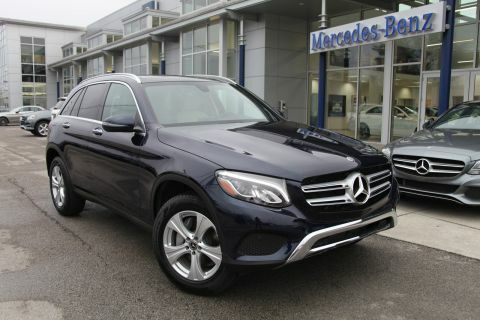 Full-Time 4MATIC® All-Wheel Drive, Remote Engine Start, Back-Up Camera, Turbocharged, iPod/MP3 Input. 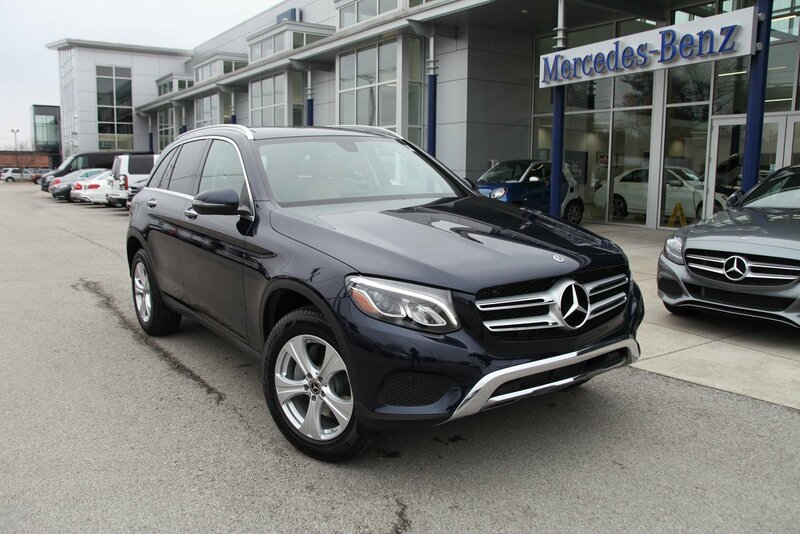 Mercedes-Benz GLC 300 with Lunar Blue Metallic exterior and Silk Beige/Black interior features a 4 Cylinder Engine with 241 HP at 5500 RPM*. 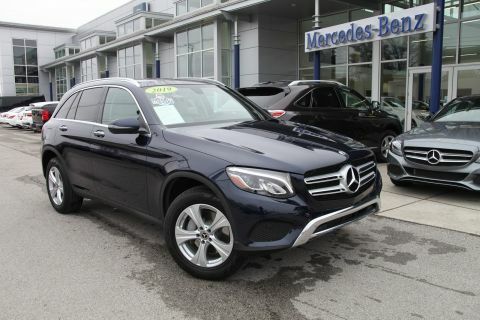 PANORAMA ROOF, PREMIUM PACKAGE 115V AC Power Outlet, KEYLESS GO®, Blind Spot Assist, SiriusXM Satellite Radio, free trial period, BURMESTER SURROUND SOUND SYSTEM, HEATED FRONT SEATS, SMARTPHONE INTEGRATION PACKAGE Android Auto, Apple CarPlay, Smartphone Integration, HEATED STEERING WHEEL. Serviced here, Originally bought here. 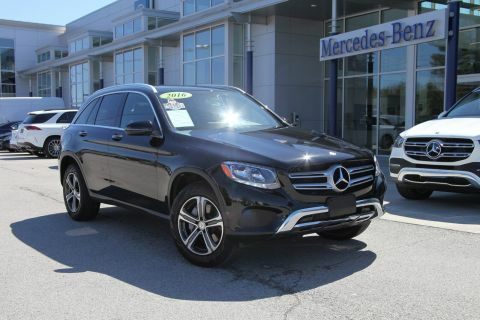 This GLC 300 is priced $3,300 below NADA Retail.